I don’t remember who initiated the conversation, Brian or me. There was no awkward silence, no convincing or debate required; we were both immediately onboard. Last fall, the yard was covered with slugs, a vegetable garden’s arch nemesis. I also hate how many food scraps end up in the trash, and I’ve heard chickens are incredible recyclers. I’ve never owned or cared for chickens, but it’s time. A friend in Anchorage (shoutout to Erika!) already has a flock, and she’s incubating eggs right now. In a few short weeks, Brian & I are going to be chick parents. 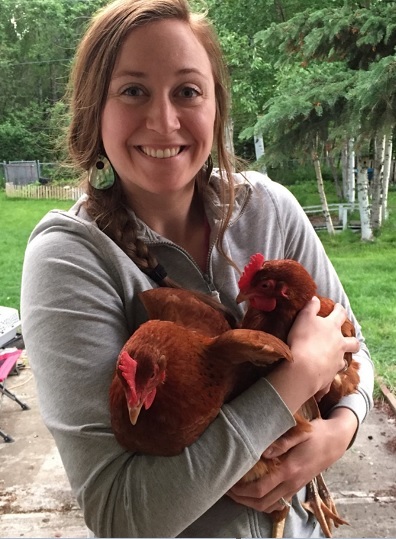 Our home is right in Anchorage – we’re definitely in an urban area with neighbors – but the Anchorage Municipality allows backyard hens. Lucky for me, my husband is a wonderful builder. 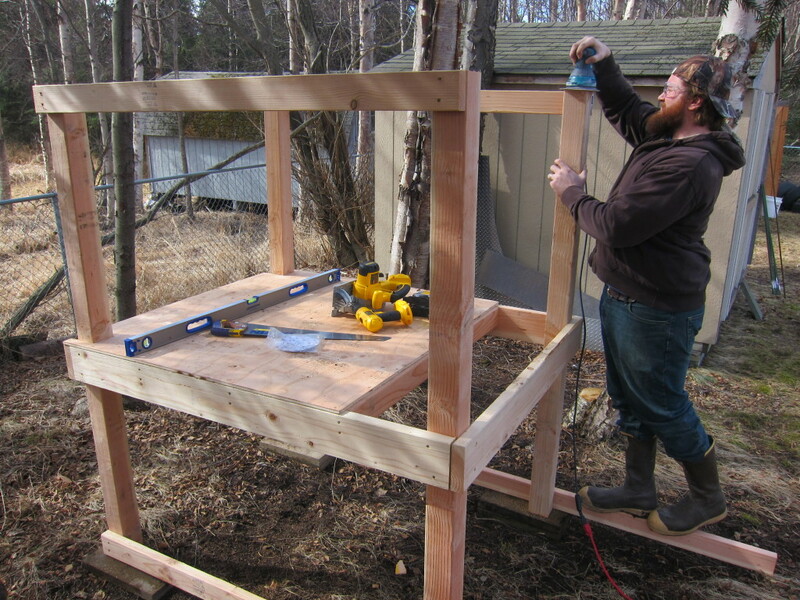 Instead of buying a chicken coop, he wanted to make one custom for our yard. 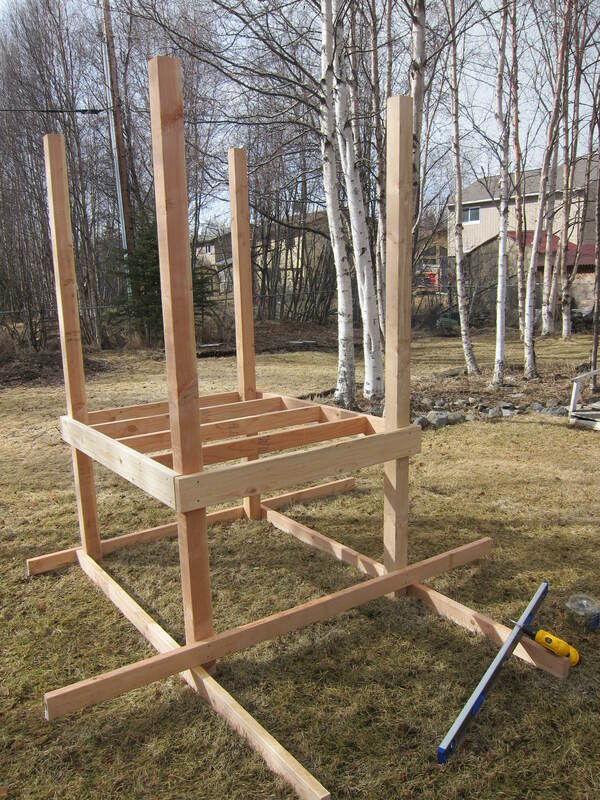 Although I helped a little (I’m good at holding boards steady and watching the bubble on the leveler stick), this project is definitely more Brian’s journey and accomplishment than mine. We chose a spot in the yard tucked between evergreen trees, where no grass grows and the lawn is hopeless. I wanted it to be out of the way and protected. 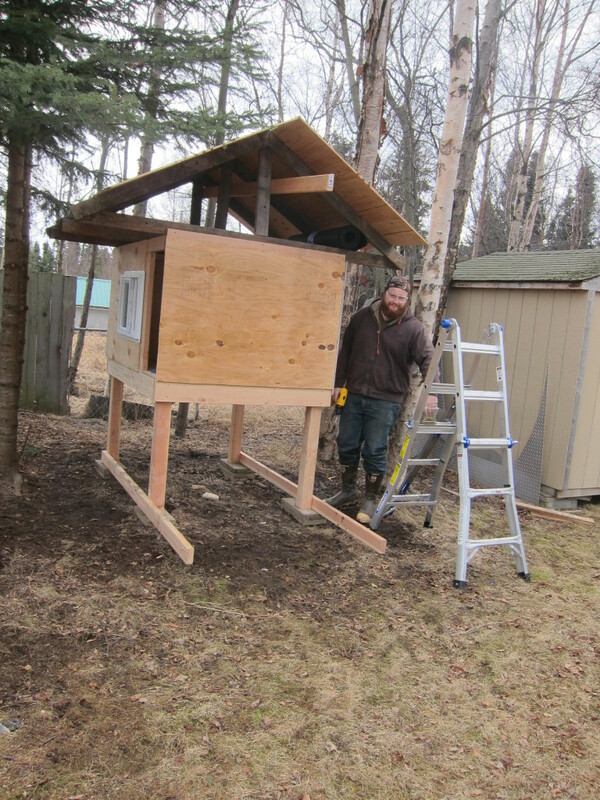 Here are the chicken coop progression pictures to-date. 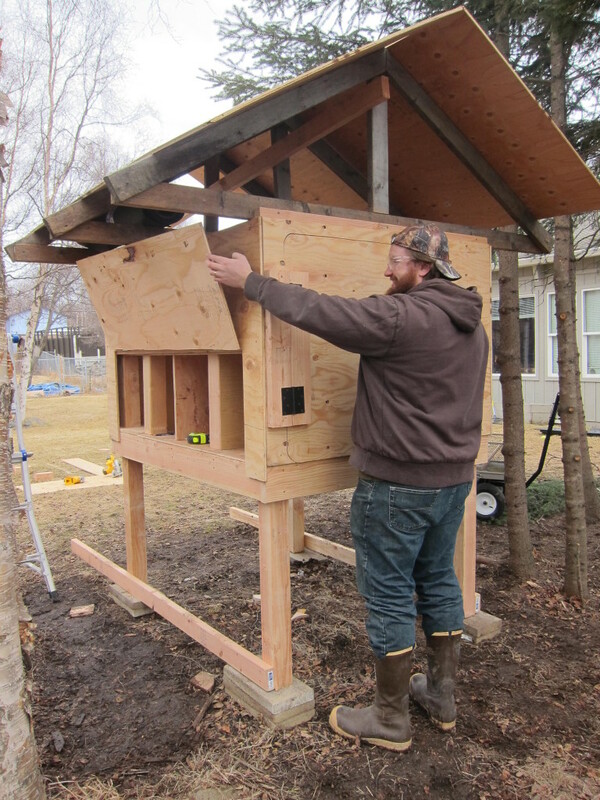 The finished coop is still to come!